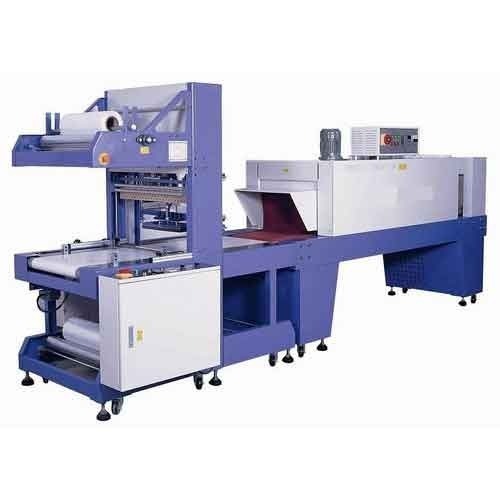 We are Leading Manufacturer & Exporter of Shrink Wrapping Machine. We obligated to meet the quality standards as per the customer demand. Established in 1984, we, "The Scientific Apparatus Company" are engaged in offering a comprehensive range of Pharmaceutical Machine like Pharmaceutical Processing Machinery and Pharmaceutical Processing Equipment. Our wide range of product includes Tablet Processing Machinery, Capsule Processing Machinery, Ointment Processing Machinery, Liquid Processing Machinery, Globules Processing Machinery, Tincture Press, Tablet Making Machinery, Food Processing Machinery and Distillation Plant. Generally offered in standard options, these can also be customized as clients specifications. Backed by our talented and high skilled team of service engineers, we are capable of providing installation and efficient after sales services to our clients. Our range of product finds application in pharmaceuticals, chemicals, dairy plants, food processing, spice & paint industries. We manufacture all of our product using premium quality raw material and test them on well defined parameters. Because of our unwavering commitment toward quality, we have gained a strong foothold in domestic as well as the international markets. Some of our esteemed clients are PFIZER, Infar India Ltd., Dabur India Ltd., Nip Chemicals & Pharmaceuticals Ltd., Emami Limited and Denium Laboratory (P) Ltd.